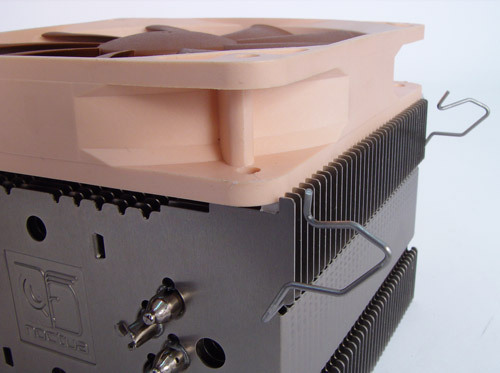 The NH-U9B continues the legacy of Noctua's classic NH-U coolers, which won over 150 awards and recommendations from leading international websites and magazines. Due to its compact size, the NH-U9B is perfect for HTPCs and small cases as well all as other applications that don't provide sufficient space for its bigger brother NH-U12P. Bundled with Noctua's award-winning NT-H1 thermal compound and fitted with the new NF-B9 fan, the NH-U9B offers outstanding quietness and excellent performance levels close to the NH-U12P. 4 dual heat pipes, excellently soldered joints and widely-spaced cooling fins ensure optimal heat dissipation even at low fan speeds. Boasting exceptionally high airflow and pressure performance, the NF-B9 is ideally suited for CPU cooling. Bevelled blade tips, Vortex-Control Notches as well as Noctua's SCD drive system and premium-grade SSO-Bearing guarantee outstanding quietness and long-term stability. Thanks to its compact size, the NH-U9B provides excellent compatibility with small cases, HTPC systems and other components. Noctua's professional SecuFirm™ mounting system for LGA 775, AM2, AM2+ and AM3 ensures superior reliability and contact pressure. K8 (939, 940, 754) kits are available on request. 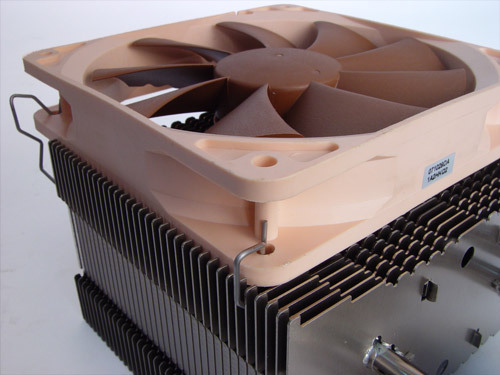 Noctua's NT-H1 is an award-winning TIM solution that provides minimum thermal resistance, excellent ease-of-use and long-term stability. Amazingly, the little NH-U9B bested almost every heatsink on the chart. It was only a degree or two behind its big brother, the NH-U12P and the Thermalright SI-128 SE. Very good! [...] As we discovered during the last heatsink roundup, Prime95 'Small FFT' testing puts significantly more strain on modern Intel processors than "Large FFTs". The NH-U9B had no issues coping with the extra heat load and kept its position in third. I have to keep reminding myself that this heatsink employs a 92mm fan! 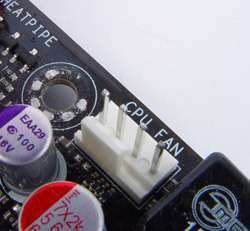 There are heatsinks more than twice its weight trailing behind it. [...] With two NF-B9 fans, we were able to match the performance of our reference fan, while still producing far less noise. 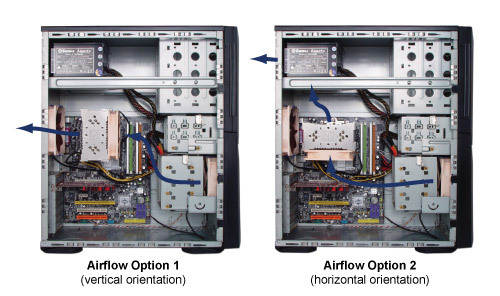 Those who want high performance while keeping noise at a minimum will be very pleased with a dual NF-B9 configuration. In conclusion, I have to agree with Chris and everything he has told me about this company being true as could be. Noctua coolers not only can do a good job of ridding the CPU of its heat, but do it so quietly that it left me checking to see if the fans were even running. As far as tower style coolers go, with a small form factor in mind this is the quietest cooler I have tested yet. I have to say I am very impressed, to say the least. The well thought out overall design of the cooler doesn’t just stop there. 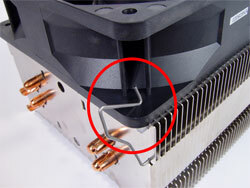 Noctua takes it all the way into the mounting hardware. 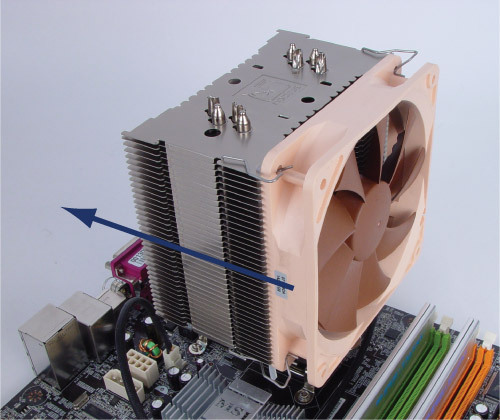 Noctuas take on getting a CPU to stay in a comfortable range of temperatures, while leaving the surrounding area virtually free of noise puts this cooler high in my list of favorites I have tested. Seeing how small the NH-U9B is I was pleasantly surprised by the good performance of it, we can see also that even though it looks similar to the NH-U9F, the U9B has much better results, so something significant has changed during the re-design process. The overclocked results tell a similar story with the Noctua cooler way ahead and the extra fan taking off another degree at load, but both results are below 60 at 100% load which is certainly impressive. Bueno, el cooler de Noctua se comporta de manera sobresaliente, incluso al subir levemente el voltaje de nuestra cpu hasta los 1.343v llevándolo casi hasta los 3.9GHz se mantiene completamente firme y estables las temperaturas del Quad Core. Las temperaturas son muy bajas sobre todo destacando el pequeño tamaño del cooler. El nivel sonoro es extremadamente bajo, siendo inaudible si nos movemos por entorno de Windows, no esperábamos menos de este NF-B9. Le NH-U9B affiche des performances tout à fait correctes, et qui deviennent même excellentes quand on se rappelle que nous avons affaire non pas à un grand ventirad tour de plus de 15cm de haut, mais d'un modèle d'à peine plus de 12cm ! Il se permet de faire à peu près jeu égal par exemple avec son ainé le NH-U12F, pourtant plus de 3cm plus haut. 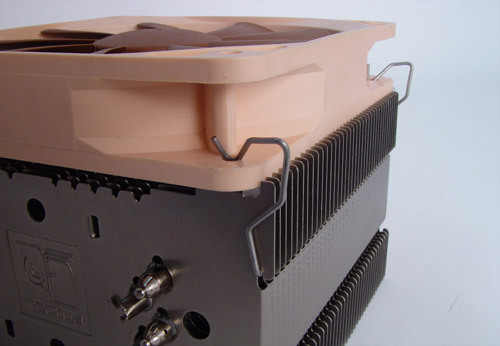 Son ventilateur est audible en 12V mais reste tout de même tout à fait acceptable, d'autant qu'il bénéficie de cette exceptionnelle qualité de fabrication Noctua qui fait que son bruit est assez agréable, chose que le sonomètre ne peut mettre en évidence. Ses 53dBA sont plus agréables à l'oreille que la plupart des ventirads affichant la même mesure acoustique. Les performances sont vraiment excellentes puique le Noctua NH-U9B se range au côté de ventirads avec ventilateurs de 120mm en étant un peu moins performant que le très bon Hyper 212 de Cooler Master. Il se paie le luxe de dépasser des mastodontes en 120mm comme l'Enzotech Ultra-X (mais à ventilateur horizontal). [...] Les NF-B9 sont vraiment très silencieux, on n'entend rien dans un environnement sonore normal. Dank des 4 Dual-Heatpipes-Systems und dem effektiven NF-B9 Premium-Lüfter (Vortex-Control Notches, SCD-Antriebssystem und SSO-Bearing) erzielt der neue Noctua Kühler eine mehr als beachtliche Kühlleistung. Selbst die Konkurrenzprodukte mit größerer Kühlfläche und üppigem 120 mm Lüfter können nur bedingt mit unserem Testmuster mithalten. [...] Selbst bei höchster Umdrehungszahl konnten wir den NF-B9 Premium-Lüfter nicht wahrnehmen. Aus diesem Grund können selbst Silent-User bedenkenlos zum Noctua NH-U9B greifen. Tai puikus aušintuvas tiems, kurie turi poreikį spartinti procesorių, tačiau neturi didelio pakankamai didelio korpuso, kuriame tilptų didelis aušintuvas su radiatoriumi. Pagal savo dydį NH-U9B SE2 parodė labai gerus aušinimo rezultatus, o turbinant procesorių sugebėjo palaikyti stabiliai veikiančią sistemą. Unser Test konnte beweisen, dass nicht unbedingt die Größe Rückschlüsse auf die Kühlleisung geben muss. Natürlich konnte er nicht mit dem deutlich größeren Kühlkörper aus eigenem Hause mithalten, aber andere Konkurrenzprodukte sicherlich schlagen. Außerdem überzeugen uns die Ausstattung, u.a. 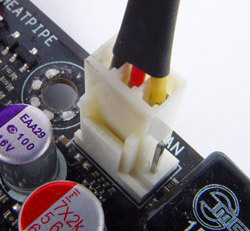 auch die Wärmeleitpaste, die für sehr viele Anwendungen reicht, das tolle Montagesystem, das leider nur per Backplate funktioniert, die gute Kühlleistung und eine lange Garantiezeit. Which mainboards are compatible with the NH-U9B?